Well, it’s already February. One good thing about time flying by is we are closer to Spring every day that goes by, right?? I’m in Maine. We have incredibly long Winter’s here. We started with freezing weather in November, and it has not improved much until this week. We’ve had a couple days in the 40s and I’m getting spring fever up here!! Thanks for stopping by catch up on my life and projects. First, let’s announce the winner of last month’s Rifle Paper Co. canvas duo bundle….it goes to (marcysbaskets)!! 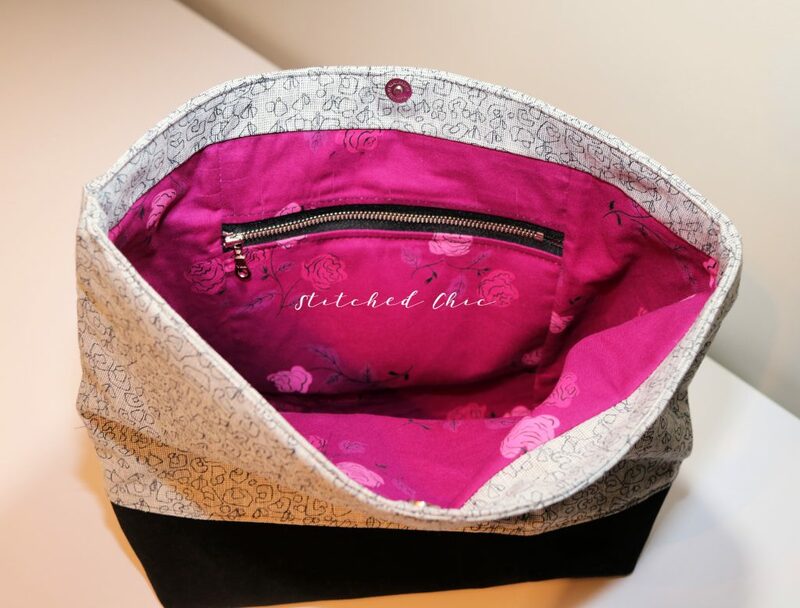 Marcy, please send me a message at jennifer@stitchedchic.com to let me know where to send your cute prize!! Up for grabs for this month is a sweet fat quarter bundle from Riley Blake Designs by Minki Kim called Serendipity. This cute little bundle is very whimsical and reminds me of childhood summer days. Remember all you have to do to be automatically be entered into the monthly giveaway is subscribe to our email list from the link on the homepage of our website, it’s that easy!! A winner is chosen at random the first week of each month. 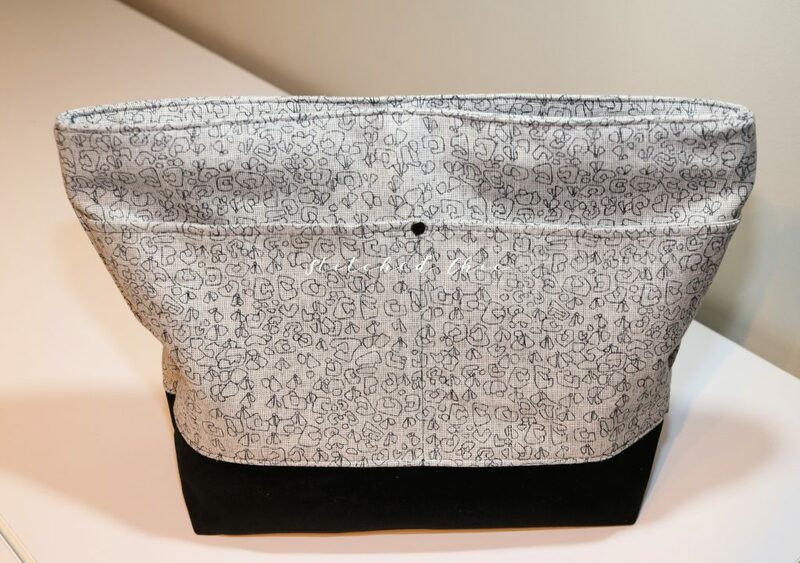 Now onto my recent projects…I just made a bag that I am smitten with. It’s the Vera Slouch Bag from Sotak Handmade. I used essex linen in Polk as the exterior fabric with a waxed canvas bottom. It was my first time using waxed canvas, and I’ll admit I was a little intimidated; however, it sewed so smooth and nice that I was pleasantly surprised. I paired it with a fuschia lining from Cotton + Steel in the Steno Pool Collection, and it just made it pop. (Steno Pool is also up for grabs in the shop if you love it!) 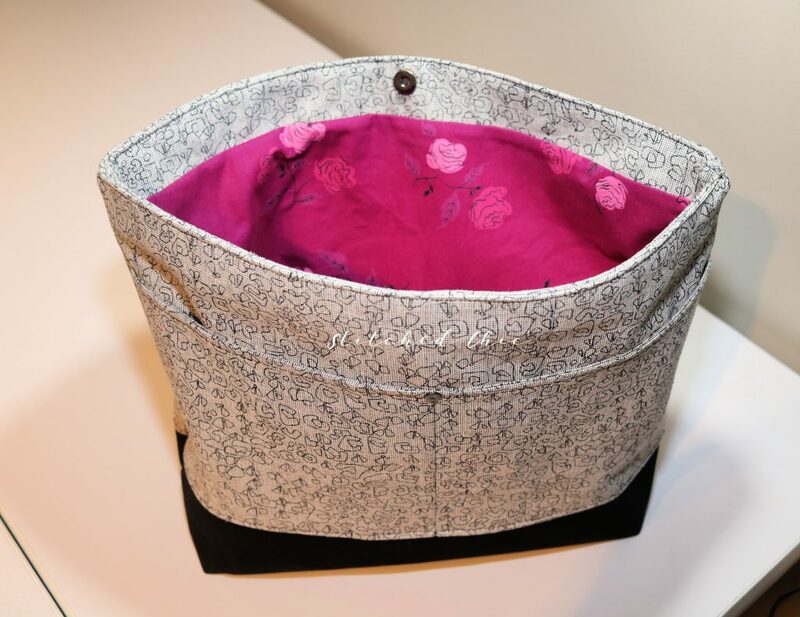 This bag came together so quickly and has lots of room for storage with two pockets on the exterior and an interior zipper pocket. I modified the pattern just a smidge to meet my needs, and I love it. I need your help though…. I’m going to add a leather strap, BUT I can’t decide if I should use dark brown or black leather. What do you all think??? Let me know in the comments which way I should go. I like the idea of dark brown for the contrast with the bag colors, but my OCD self is telling me to stay with black, haha!! I’d love to hear your opinions on this so drop me a comment! 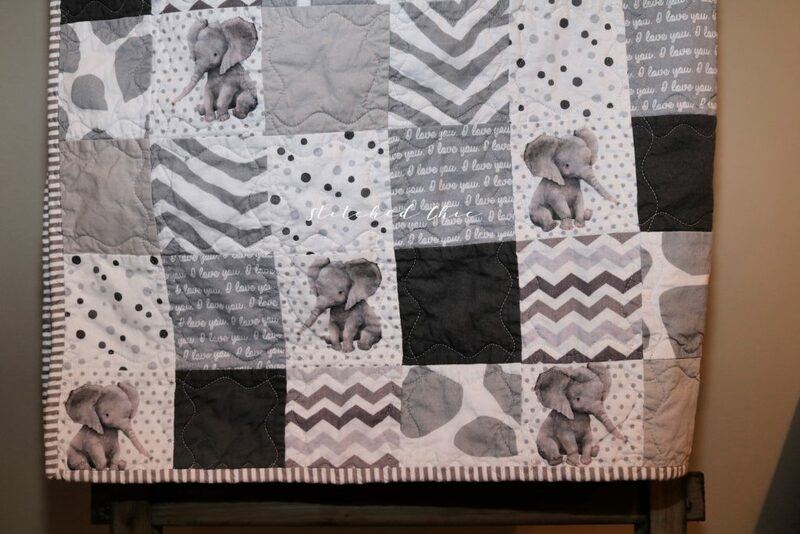 Next on the project list was a sweet baby quilt for a BFF who’s expecting in March. She has decided not to find out the gender, and she chose a neutral jungle theme for the nursery with shades of gray. When the baby is born, she will add either pink or blue to the current color scheme, and it will be adorable. She asked me to make her crib quilt, and of course, I was thrilled. I’ve now gifted this, so the coast is clear to share the photos. 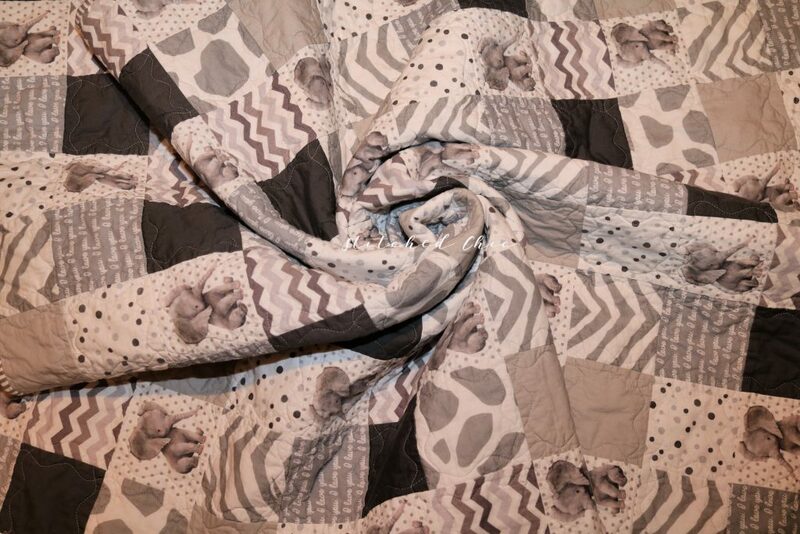 She chose all the prints, and I backed it with a super soft minky that will be so cuddly to snuggle that sweet baby. Being in Maine in the Winter, my options for natural light photos are limited. While I love what the outdoors can provide for a quilt photo shoot, sometimes due to the weather up here that isn’t possible, this was one of those times. I quickly took my pics so I could wrap this lovely gift up for the shower and when I went back to do my editing I cringed. I wish the pics were brighter because they don’t do this quilt justice for how cute it is. Anyway, you’ll get the gist- here goes nothing! « January News & Monthly Giveaway! The purse is beautiful, but the baby quilt is outstanding! 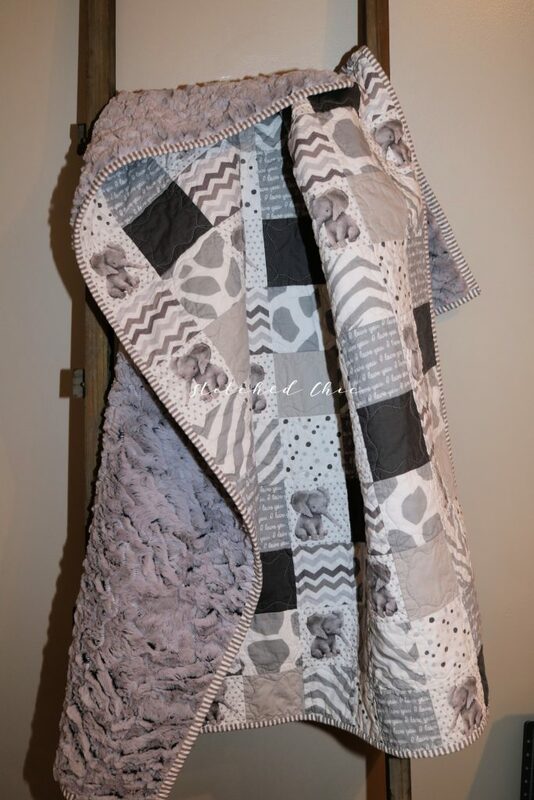 I can just feel the softness of the quilt and the gray colors all blend together very well. Great job!